It was once said that a wise man learns from his mistakes, but a genius learns from someone else’s. So, this website offers you the chance to learn from my mistakes and make a profit from online sports betting right from the start using free bets. I discovered “matched betting” quite late sadly, but for the last four years I’ve been making really good money from it. If you’d like to try matched betting without any obligation you can sign up to OddsMonkey as they currently have a Free Trial. It will allow you to do a couple of free bet offers using their matched betting software to see if you like it. I use OddsMonkey myself and can thoroughly recommend it. They have great software that finds the best matched betting opportunities for you and tells you how much to back and lay to make the best profits. Just click on the button here to visit the OddsMonkey website. Let me say straight off that matched betting done correctly is not gambling in any way shape or form. It’s a process where you back both outcomes (say in a tennis match you back Andy Murray to win with company A and Murray to lose with company B) so the result is irrelevant. Due to matched betting and the software I’ll direct you to, you can search for the correct prices (odds) that mean you can show a profit regardless of who wins. When you consider that I work from home and all the profits are tax free it’s a terrific way to earn money. I love the working from home part as I used to hate the daily commute, and I like having the freedom to work when it suits me. 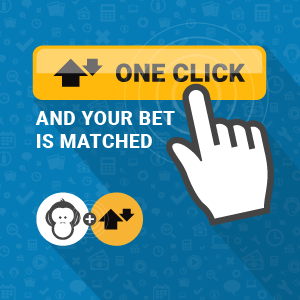 Using matched betting techniques, it’s possible to use online bookmakers free bet offers to not just make a great profit when you open a new account but also a steady income on an ongoing basis using reload offers and other methods which you can learn about on this website. How many hours you put into this is entirely up to you but like anything in life the more work and effort you put in the more you’ll get from it. Initially when you’re keen to learn you should be happy to put in the hours to learn all you need to know to place the bets competently, so you’re guaranteed to make a profit. Once you become competent and confident you will not need to work so hard as you’ll be able to place the required bets quickly thereby reducing the time needed. I now do no more than an hour per day placing bets and normally do it three or four days a week at most due to being busy with my other online businesses. I do more on Saturday and Sundays as there are generally more “free bet offers” over the weekend to coincide with the big sporting events on TV. The wife of a good friend of mine drops the kids off at school each day and then goes home and spends a couple of hours on her computer each morning placing her bets for the day and checking up on the ones she placed the day before. However, she never does any betting over the weekend as she spends the time with the family. So, it really is up to you how you want to work it and you’ll only know that once you’ve given it a go to find out if you take to it or not. You don’t need to be a mathematician or a computer genius, if you have a computer/laptop/tablet with an internet connection and a basic ability to log on to websites and use the internet then you should be fine. The only regret I have about matched betting is I wish I’d started sooner. There is information on this website all about it and loads of free offers you can take advantage of so feel free to get started right away. Check out the Matched Betting guide here. A bit of background about myself. I was born in June 1959 in Liverpool, but I’ve lived most of my life in the West Midlands apart from a six-year spell in London. My living nowadays is made exclusively online. I discovered three card brag when I was at school aged just eleven and I’ve been hooked on playing cards ever since. I played poker for the first time at seventeen in 1976 and still play regularly to this day. Today I’d describe myself as a half decent amateur poker player. I normally play low buy-in tournament poker for the social aspect in casinos around the West Midlands. I’ve had some successes at the poker table over the years but I’m not good enough to make a living from playing poker. As a pastime though it doesn’t cost me anything as I show a small profit each year. So not a bad hobby to have! Not “big” money in poker terms but a great deal of pride involved, and part of the prize was a free trip to Las Vegas including flights, hotel and “buy-in” to a World Series of Poker event which fulfilled a lifelong ambition of mine. In December 2006 I won an online satellite via Party Poker for the 2007 “Aussie Millions”. The package was worth $18,000 which included flights to Melbourne, hotel, spending money and buy-in to the $10,000 main event and entry into the Party Poker freeroll while I was there. I had a great time in Australia winning the free roll for $2,500, cashing in the main event for $15,000 and winning another $15,000 in the casino while I was there! The Aussie Millions is a televised event and I was briefly featured on it playing a big pot versus Chris Ferguson (World Series of Poker Winner) If you click on the link below you should be able to see a video of the hand. Please feel free to contact me via email if you have any questions and if I’m available I happily have a chat with you over the phone if you send me your number.